The Splash Park is open daily during regular Zoo hours from Memorial Day weekend through Labor Day. 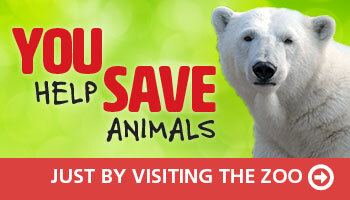 It closes 30 minutes before the Zoo closes each evening. FREE with paid Zoo admission or membership. Zoo members-only mornings are weekdays in June & July at 9:30 a.m.
Give Your Kids Something COOL To Do! This nautically-themed splash park is the perfect place for kids to escape Kentucky’s hot summer days with something cool to do! The Splash Park at Glacier Run features 42 unique spray events — which means 42 ways to get wet! A restroom complex with facilities for men and women plus 2 family restrooms which can be used as changing areas. Be sure to have swim diapers for all children who are not potty trained. Limit time between between diaper checks. Check frequently and change as needed. We recommend checking diapers at least every 30 – 60 minutes. If you forget extra swim diapers, you can purchase them at the Splash Park Kiosk. Be sure to change diapers in the bathroom or diaper-changing area — not next to the splash zones. Please, do not wear street shoes in the splash zones. Do not visit the Splash Park with an upset stomach or an open wound that is not covered with a waterproof bandage. Be sure to shower before you come to the Splash Park (there are no showers at the Zoo). Do not swallow the water, if at all possible. Take kids on bathroom breaks every 60 minutes, minimally just to be safe and ensure your little ones do not utilize the splash pads as a potty spot. Splash Park regulations are mandated by the Centers for Disease Control and Prevention. Water in the Splash Park gets recycled. It is treated with liquid chlorine, goes through a sand filter, and then passes through a UV sterilizer for inactivation of harmful bacteria / microorganisms before returning through the feature pumps. All of this is monitored by a very sophisticated automated control system which measures chlorine, pH, temperature, ORP, flow rate and more. Our water is also manually tested every hour by our staff and weekly by the Health Department. Water treatments like chlorine don’t kill germs instantly — some nasty germs can last for 2 – 3 weeks. When you swallow water or get water in your ears with these germs, it can make you sick. If there’s an incident/accident is spotted or reported, the Splash Park will be shut down temporarily for the safety of our guests while we work to sanitize the area. These closures may last from 30 minutes to 2 hours depending on the type of accident. If this occurs, you may hear whistles or megaphone announcements, and the splash zones will be closed. An approximate timeframe may be provided with simple scenarios. Splash Park Kiosk (Seasonal) — Stop next to the Splash Park and pick up items you might have forgotten: a towel, sunscreen, a spray fan, a stylish swim diaper and much more. Wild Burger in Australia (Seasonal) — Try a classic quick casual burger concept with tater tots to include the following toppings; beer cheese, green chili avocado spread, onion bacon jam, mushroom & swiss cheese and The Classic. Try the new wine slushies. Kooka Coolers in Australia (Seasonal) — This is your snack headquarters with soft serve ice cream, nachos, soft pretzels, popcorn, cotton candy, bottled water, ICEE, ICEE floats and fountain beverages.